It’s an advantage not everyone can have. A new rule about screen resolutions in Fortnite: Battle Royale competitions has been the target of criticism by professional players. Epic Games has announced that it has locked the screen resolution to native 16:9 for PC players in Arena Mode and other online Fortnite competitions, which means players can’t use stretched resolution from now on. Stretched resolution allowed players to get an advantage over others who played in native settings. It gave them a wider horizontal or vertical field of view in comparison to native, which allowed them to see more things, including environment elements and opposing players that they wouldn’t see otherwise. Despite professional players’ complaints about Epic’s decision to lock the resolution to 16:9, a few points explain why allowing stretched resolution in professional competitions would be unfair for Fortnite’s competitive system. Only PC players can adjust their game settings to have a true stretched field of view in Fortnite. They can do so by making small changes to the in-game Settings and then changing a game file out of the game to adjust their resolution. That way, PC players can reach a 21:9 ratio or a 4:3 ratio. It’s impossible to do so on PlayStation 4, Xbox One, and other platforms. The best that players can do is to get to the 16:9 resolution on monitors and TVs that don’t have it as their standard resolution, but it’s impossible to stretch it all the way to 21:9 or to 4:3. Fortnite’s online competitions are cross-platform, which means you can have PS4, Xbox One, Switch, mobile, and PC players all in the same match. So if all PC players have a wider field of view than their opponents, who can’t choose to increase it due to their platform, PC players get an unfair advantage because they see more on their screen and can spot opponents in situations where their opponents would be unable to see them. PC players would get an advantage because they can change their game in a way their opponents can’t, not because they’re more skilled. Even if we consider a theoretical match where all players are on the PC, players who have stretched resolution still have an unfair advantage. The 21:9 and 4:3 resolutions aren’t available in the in-game Settings. From all resolutions available there, the widest field of view a player can get is the one provided by the native 16:9 resolution and similar resolutions. This means that a player who’s unaware of the possibility of changing game files to go beyond that ratio will never be able to stretch their screen using the Fortnite Settings menu. Players who’ve never heard of stretched resolutions and the increased field of view they provide won’t be able to intuitively change that in their game to be on the same level of opponents who are using it. It’s a hidden setting that changes the game’s rules of screen resolution, so it can be unfair if others don’t know this setting exists. 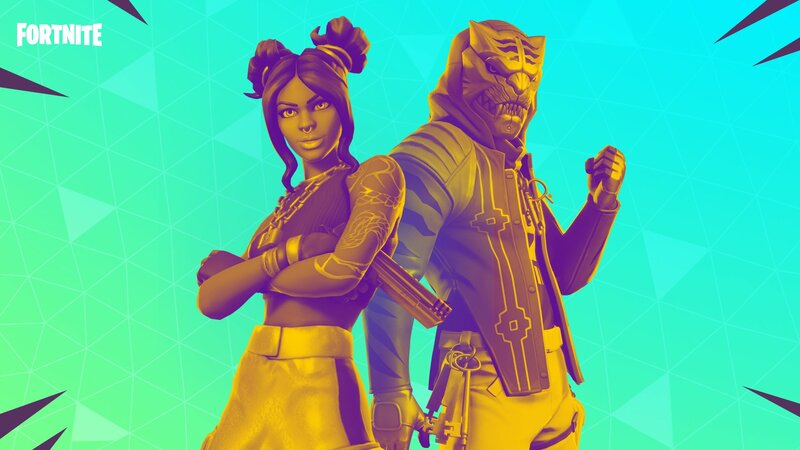 This change to resolution is coming before the qualifiers for the Fortnite World Cup. This event is supposed to be inclusive and let all players have equal chances of qualification, from big streamers who are vocal on social media to the potential unsung heroes who play at home away from the spotlight. That’s why there are no invites. Epic might have irritated a few professional players and streamers with that decision, but the developer has taken another step to guarantee that there’s a fair playing field for many other players who will soon pursue the dream of playing in the Fortnite World Cup.